Knights vs. Dinosaurs (Hardcover) | Let's Play Books! 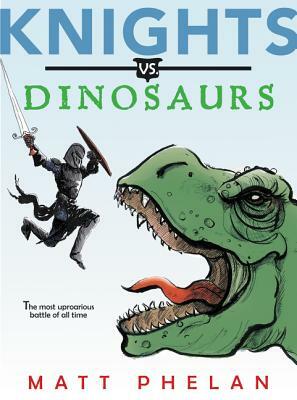 "In Knights vs. Dinosaurs, Matt Phelan has created a roaring romp of a good time, bringing together the Knights of King Arthur’s Round Table and DINOSAURS! Though it may at first glance seem a book for boys, a plot twist will have girls loving it, too! With knights, dinosaurs, a wizard, and some great battles wonderfully illustrated by Phelan, this exciting tale demonstrates the value of being true to yourself while being part of a team."